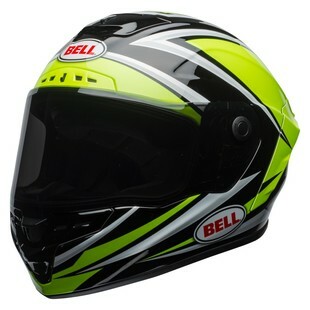 Tightly wound and crisp in its presentation, there is nothing less than top-tier in the Bell Star MIPS Torsion Helmet. The Bell Star Helmet is one of the most notable lids in all of moto-sports. It’s been around for decades, and has been worn by everyone from the most notable riders on the planet, to ardent track-day enthusiasts. Recently, however, the Star (traditionally a race helmet) was redefined and made into a street-going lid for the masses. With the addition of MIPS technology, the helmet has become even safer as it possesses world-class defenses against the rotational forces of a motorcycle crash. Throw in the high-energy visual vibrancy of the Torsion graphic, and this lid is a solid addition to the legendary lineup. In the end, few helmets out there have the pedigree of the Bell Star. There is a lot to live up to. For the Fall of 2017 Bell has sought to deliver with the Torsion Helmet.